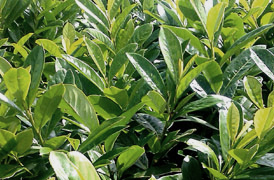 that provides quality hedging, mature trees and shrubs. We have a in-house team of landscapers who are experienced in all aspects of domestic and commerical landscaping. Tree Heritage is situated between Hertford and Waterford on North Road. We are a family run business that was first established in 1970. 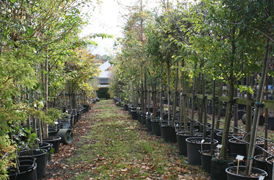 The nursery is set in a 10 acre site with 6 acres dedicated to the production of hedge plants. 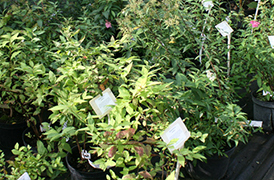 We can supply our hedging, trees and shrubs at wholesale prices and can deilver nationwide. Feel free to come and wander around the nursery to gain some inspiration from our plants, trees, hedging and architectural pieces. Our professional team of landscapers offer the complete service from clearance, design, planting and landscaping. 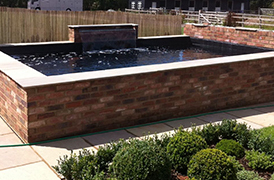 We build garden features from ponds to patios and undertake tree surgery. Private and commercial clients catered for. The nursery is open to the public - should you wish to call in, or why not email or fax your requirements to us and we will get back to you with a quote.